First I would like to welcome you to Full SAP - a blog aimed at helping you get a head start and fundamentals in SAP and all related topics, including design and architecture! 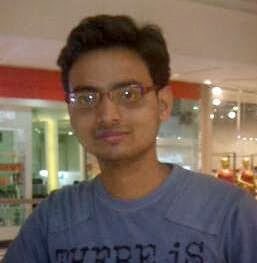 I'm Ashish Gaurav, the author of this blog. I began blogging almost four years ago and with time the hobby really turned into a passion. Since then I created various blogs on different subjects. I am just gathering information on SAP Basis topics and trying to explain them in a simple manner . You can find related posts in Google. If any one have doubts in my blog writings please feel free to raise your concern via Contact Form. I will answer as soon as possible. Any difficult to understand and implement this then don’t hesitate to ask me via comments Your comments are always appreciated except spam.